Learn about history of banking in Finland, and see some beautiful old bank interiors in wood, by visiting Protected content ! 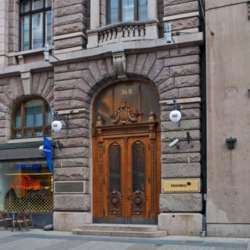 The building built in Protected content used as a bank branch until Protected content . The Protected content is open for public only few hours once a month, but we will get a private guided tour and hear interest facts & old stories! Please come on time, tour will start at 17:30 sharp and you will not get in anymore, the main door is closed normally. Please do not sign up unless you REALLY intend to participate! And if something comes up, please cancel attendance.